Mastering Management Skills – Developing Better Decisions, Bigger Success! for moving into the leadership ranks. Mary is the author of two books: “Leap to the Next Level” and “Master Your Middle Management Universe” and has trained hundreds of professionals on her management concepts. She writes a bi-monthly management column for a trade journal in the boating industry, publishes a management blog, and has received the DTM (Distinguished Toastmaster) award; the highest speaking level awarded by Toastmasters, International. 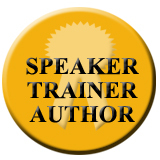 A member of National Speakers Association, Mary can be contacted at 303-589-0799. Learn Mary’s Exclusive MOGA Management Techniques! Learn how to find your winning management style and the secrets that so many managers are missing in their management approach. You’ll learn techniques that streamline the path to success and accelerate your ability to become a great manager by avoiding key pitfalls and hitting crucial success factors. Call today to schedule a webinar for your management staff!